Dave Chappelle’s latest stand-up special, Equanimity, has a release date. His third special of 2017 will hit Netflix on New Year’s Eve, Sunday, Dec. 31, 2017. That’s right, on the last day of the year you’ll be able to pop the cork on a new bottle of Chappelle. 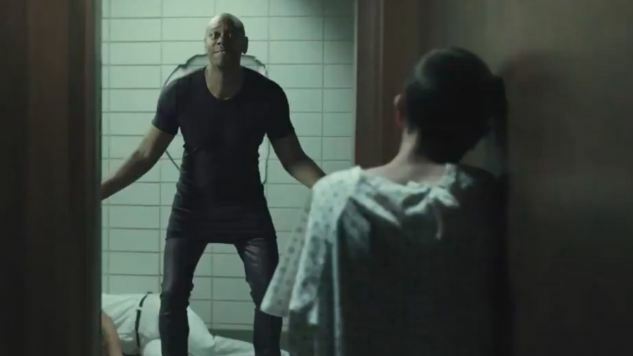 Netflix used a little bit of corporate synergy to announce the special, plopping Chappelle down into the Stranger Things phenomenon in a teaser released earlier today through the various Netflix Is a Joke social media accounts. Check out Chappelle hanging with Eleven below. Equanimity follows the specials The Age of Spin: Dave Chappelle Live at the Hollywood Palladium and Deep in the Heart of Texas: Dave Chappelle Live at Austin City Limits in what has been a huge (and, uh, somewhat problematic) year for Chappelle. He’ll be ringing the year out in style with a new set of original material, and maybe (hopefully) he’ll avoid some of the pitfalls he stepped into in his other specials earlier this year.